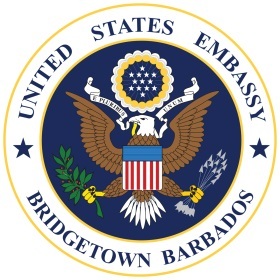 The US Embassy to Barbados, the Eastern Caribbean, and the OECS is pleased to issue a call for project proposals for the US Ambassadors Fund for Cultural Preservation (AFCP) for 2017. Proposals must be submitted by 2 February 2017, for projects to preserve cultural heritage in Antigua and Barbuda; Barbados; Dominica; Grenada; St Kitts and Nevis; St Lucia; and St Vincent and The Grenadines. Cultural sites: Such as, but not limited to, historic buildings and archaeological sites. Forms of traditional cultural expression: Such as traditional music, indigenous languages, and crafts. Must be non-commercial entities, such as non-governmental organisations, museums, ministries of culture, or similar institutions and organisations. All eligible applicants must submit their proposals via email to bridgetowngrants@state.gov no later than 2 February 2017. Any proposals submitted after this time will not be accepted. The Department of State established the AFCP at the request of the US Congress in 2001 to demonstrate the United States’ commitment to preservation and protection of cultural heritage around the world. Since 2001, the fund has awarded $55 million in support of more than 870 projects in more 125 countries. For more information on the program and creating a valid proposal, please visit https://eca.state.gov/cultural-heritage-center/ambassadors-fund-cultural-preservation.